( Ephesians 3:19 KJV ) “And to know the Love of Christ, which Passeth Knowledge, that ye might be Filled with all the Fulness of GOD.”!! 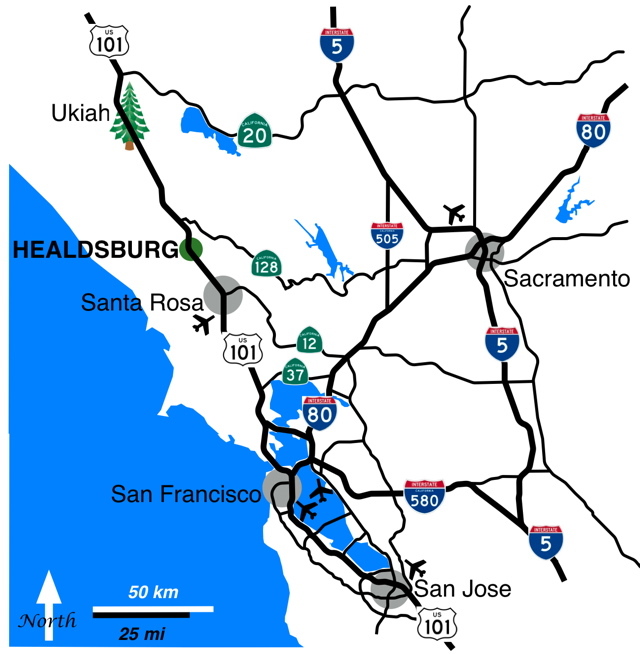 I was born in Healdsburg, California January 7th, 1960 in a General Hospital that is no longer there. We did Not live in Healdsburg, California! My Late daddy was a Lumberman and lived and worked in a super small town called Annapolis, California. Annapolis. California is almost in the Northern Western Part of Sonoma, County, California. It was a Logging town, but, no more. We Lived in Annapolis, California until I was three years old. My late Daddy took a higher paying job in Southern, California. It was in Los Angeles, California is where my Birth Defect surgery was performed, in 1965. My surgery cost more than one million dollars, Crippled Children’s Fund paid for more than 99% percent of my surgery. My Parents had to pay the rest! My parents could not afford a home until I was 13 years old, this is because they were paying for my surgery still..
GOD Helped my Parents a lot back then, He Kept me alive for them! So, I Praise Jesus-Yeshua Christ I am alive and here still. GOD is Gracious and Kind, Loving, Knowing, Wonderful!! I am Disabled, but, I am happy!! Please Read More about My Disabilities – Here!! You can Click on the Bold Links Above, and it will take to some websites I’ve linked. Have fun reading them, I know I like to read a lot also!! Jesus Loves me! This I know, For the Bible tells me so. Little ones to Him belong; They are weak, but He is Strong.!! Jesus Loves Everyone Unconditionally!! Please Trust in Jesus Today, He will be there for you!! ( Proverbs 3:5-6 KJV ) “Trust in the LORD ( ADONAI ) with all thine Heart; and lean not unto thine own understanding. In all thy ways Acknowledge HIM, and HE shall direct thy Paths.”!! TRUST in the LORD Jesus-Yeshua Christ with All Thine HEART and SOUL!! Jesus-Yeshua Christ was Born in Bethlehem Israel, DIED in Jerusalem Israel, AROSE on the THIRD DAY to Prove HE is GOD the SON, and They’re THREE in ONE!! « CBN NewsWatch: October 2, 2013!! Thank you Kristi Ann for sharing where you were born, I’m so pleased you were. I was born in N.S.W, Sydney , Australia, the Milkman use to deliver our daily milk on his horse drawn cart when I was a child. I teach the Children in my Funday Schools the song, Jesus Loves me , did you know it was written for a sick boy (see below ) Jesus does indeed Love you and me and Obama too. Thanks so much Sister in Christ Jesus-Yeshua Anne!! I am so sorry I am late replying to you!! Praise Jesus Christ for TODAY and EVERYDAY, HE LOVES us all Everyone Forevermore! !